Hamilton and Marlene Royle) and trained for several years with Mark Wilson of All-American Rowing Camp (AARC). During the past few years she has won numerous medals at regional regattas both during the sprint and head race seasons in her single scull. Tempe, Az, Petaluma, CA and Dallas, Texas and by other AARC coaches who have come to SRC. She has completed USRowing’s Levels I, II, and III certifications. She stays up–to-date by attending annual USRowing Coaching Conferences and just participated in the Joy of Sculling Conference in San Francisco. She has coached both competitive sweep and sculling for SRC as well as taught Learn-to-Rows and basic as well as intermediate sculling. 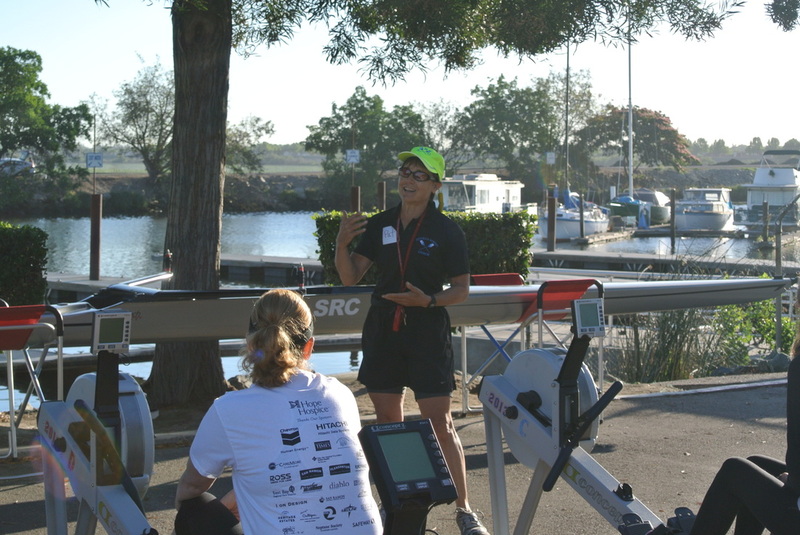 She also offers small group and private sculling instruction and currently offers small group sculling instruction in Sacramento at River City Rowing Club. Through her work as a physical therapist, she has taught a variety of patients with disabilities to land row and scull. Some of the movement impairments she has worked with including joint replacement, amputation, head injury, quadriplegia and paraplegia. Pat's approach to sculling/sweep instruction is rooted in her strong foundation in movement, beginning early in life as an amateur dancer, competitive swimmer and swimming coach. Since college, she has been a yoga practitioner and now is a certified instructor of both yoga and Tai Chi for Health. Her approach is also informed by more than 25 years of teaching in and administering adult education programs as well as her study and work as a physical therapist and university professor of human anatomy. She is honored to work with rowers, particularly scullers who inspire her as they grow their “sculling wings.” She believes that everyone can learn to scull and that it is her job to arrange for each person to learn successfully. One of her favorite sayings on the water is that “the water teaches” so she tries to measure out her instruction – enough guidance and enough silence for budding athletes to easily learn their new skills.